High Def is for suckers. You wanna be like Marty McFly and document your time traveling adventures in true 80s style? Then pick up this bitchin’ app and you’re halfway there, minus the DeLorean Motor Car. VHS Camcorder is a $3.99 app for iPhone, iPod and iPad that lets you go back to the days when 333 lines of video resolution were more than enough to capture all those awkward coming-of-age moments that you still spend each waking moment of every day trying to burn from your mind. Everything you need to create convincing historical video is included in the app right down to the ubiquitous time stamp feature with that wonky raster font. 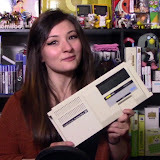 And if you have any retro or retro-style videos with that you'd like to share with the world, send them to me so I can post them here on the site. Enjoy!